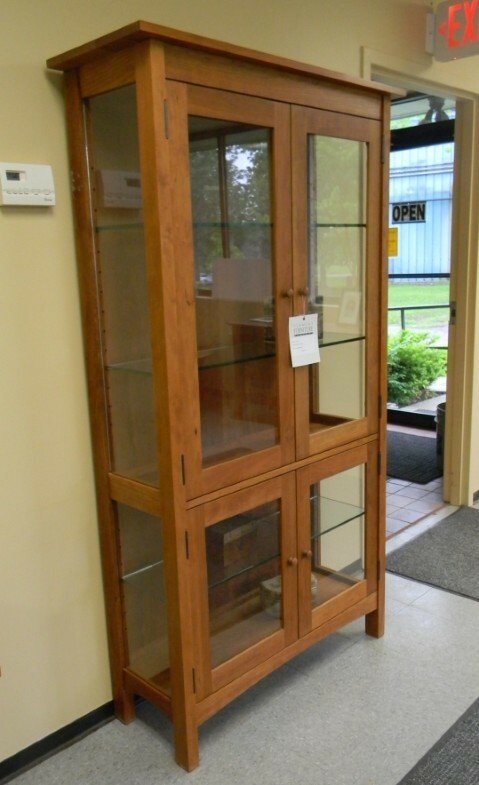 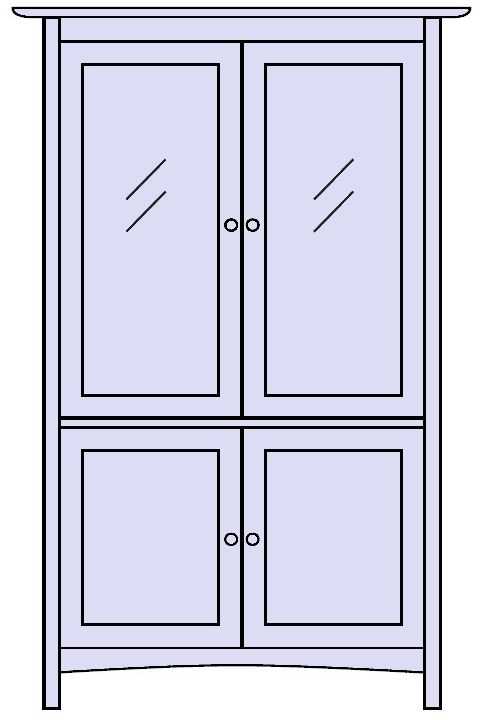 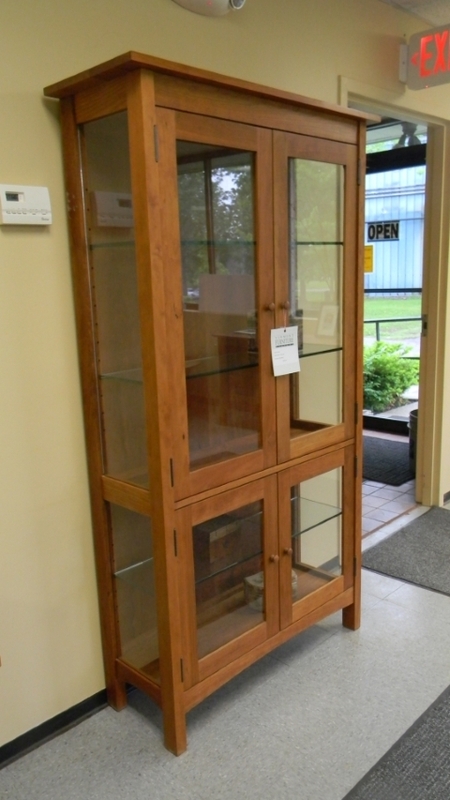 Cherry Burlington four door bookcase, shown with two glass doors and two wood doors 18.5D x 41W x 72H; shown with two Burlington side cabinets 16.5D x 24W x 60H. 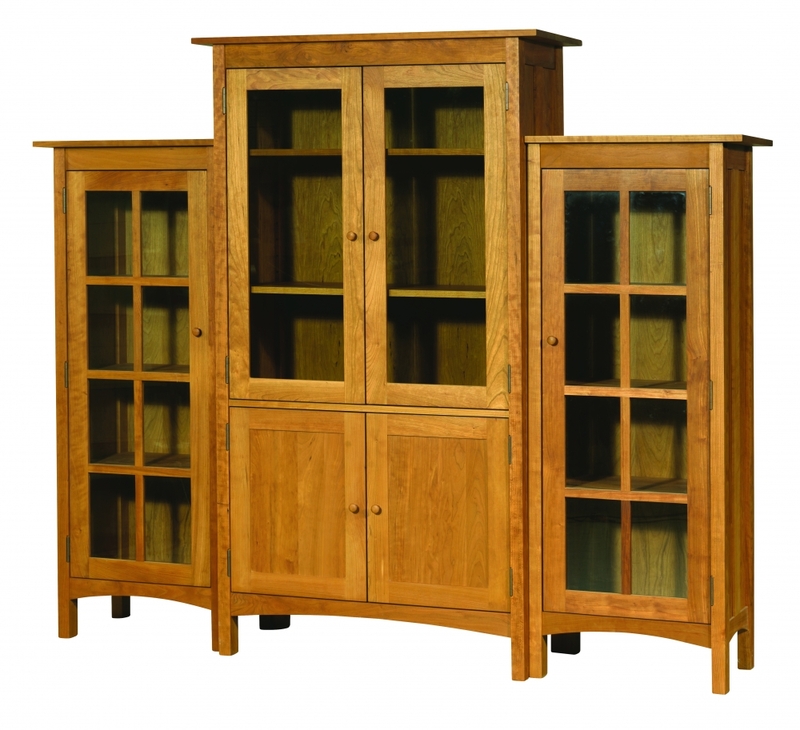 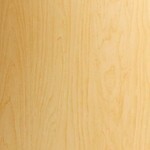 Cherry Heartwood 4-door bookcase, 18.5"D x 41"W x 72"H. Glass doors on top, floating wood panel doors on the bottom. 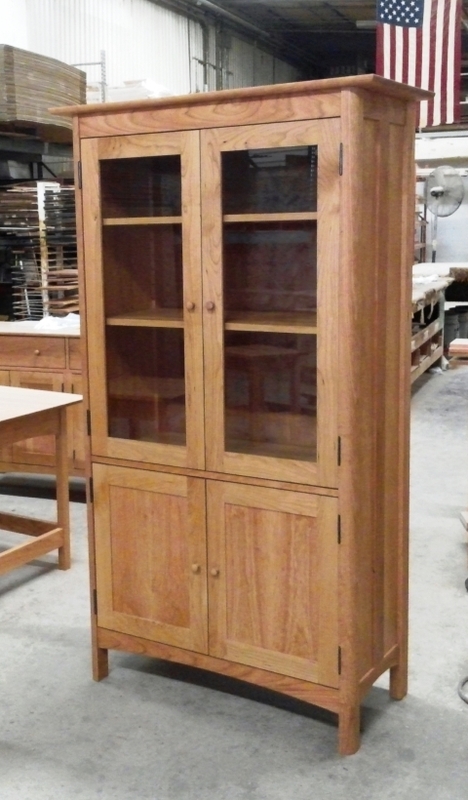 2 adjustable shelves on top, 1 adjustable shelf on the bottom.